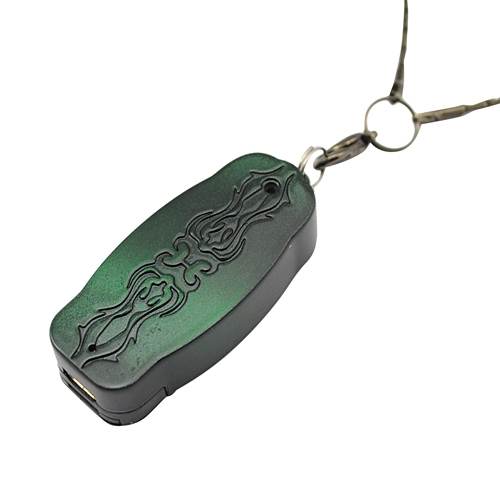 Necklace design digital video recorder is so convenience for carry. This cross spy camcorder looks really fashion as it is in front of your chest. With 4GB memory and a USB port built in, you can hook it up to your computer and download data files. This spy video system can be applied to almost any situation. It is operated by internal Li-ion battery. With video capture in computer friendly AVI at 30 frames per second, you are ready to make high quality video files as well as a fashion cross necklace!